While the master’s away, the familiar will play! Zot’s turning in early for the night, but Pooky’s not done with the party. While the master’s away, the familiar will play! Zot’s turning in early for the night, but Pooky’s not done with the party. With a stash of gold and a big chip on his wee shoulder, this strange little rabbit-thing is looking to prove he’s more than just Zot’s whipping bunny. 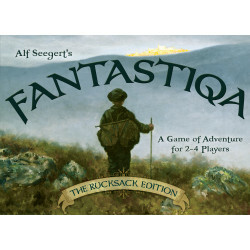 The Bad: That rabbit is even more insane without Zot’s influence. Seriously. 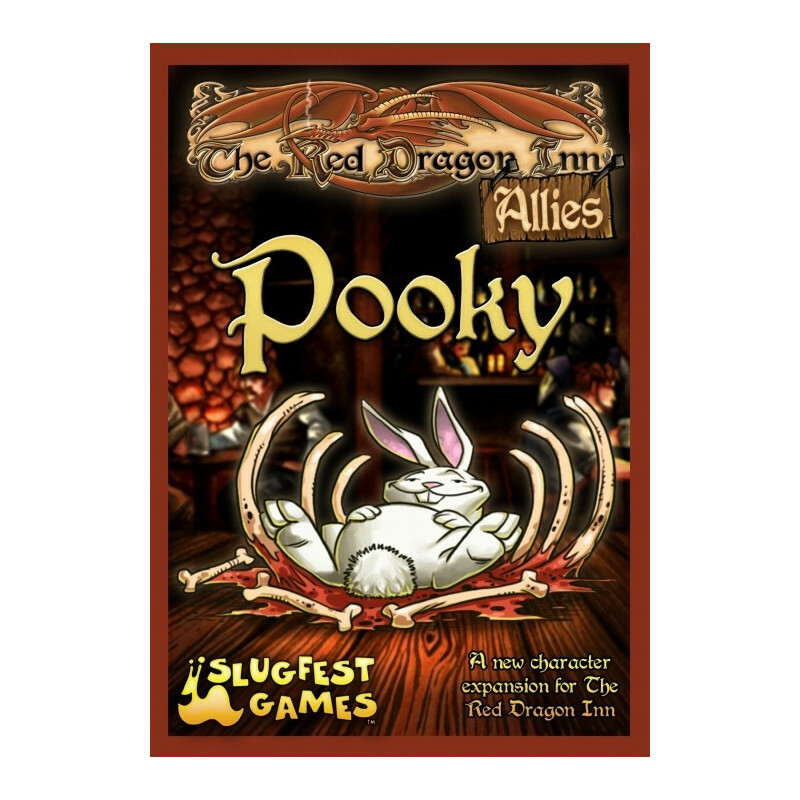 The Red Dragon Inn: Allies - Pooky lets the little white rabbit wreck havoc all on his own! 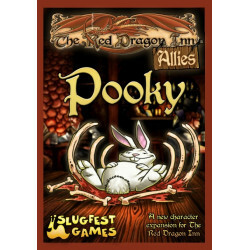 This forty-card deck isn’t an expansion for Zot the Wizard from The Red Dragon Inn, but rather allows Pooky to be a fifth character at the table and party with The Party. Bringing all his nature and vices to the table, get ready to see Pooky start partying a bit too hard for the rest of the table.